Dr. Jon Shenker is a fish biologist who has been working with the Bonefish & Tarpon Trust since the early days of the organization. Known for his expertise with larvae and juvenile fishes, he’s been conducting research on the spawning biology and nursery habitats for both tarpon and bonefish. In addition to identifying tarpon spawning sites off the western shelf of Florida and the mouth of the Mississippi River, he and his students have examined the influence of hurricanes on larval tarpon entry into the Indian River Lagoon, the management of mosquito control impoundments to enhance their nursery function for juvenile tarpon and snook, the age and growth of adult bonefish in Cuba, the sensory biology of leptocephalus larvae, and many other topics. 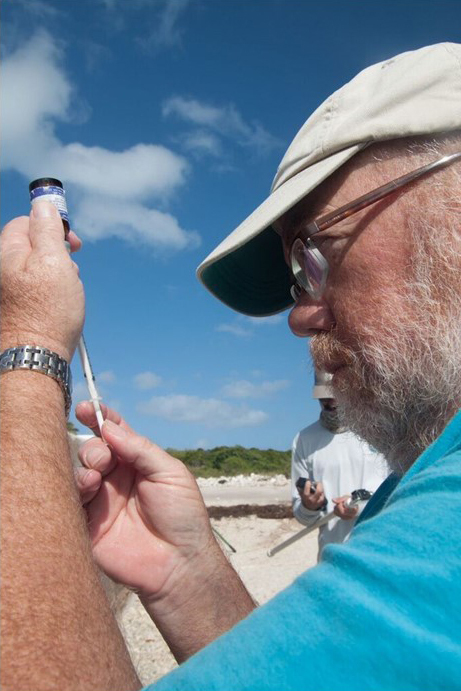 Along with Dr. Aaron Adams and Dr. Paul Wills, he leads the Bonefish Research and Restoration Project and recently succeeded in inducing spawning of wild-caught bonefish and rearing the early stages of their larvae. Originally from New York, Dr. Shenker received his B.S. from Cornell University, an M.S. from the University of South Carolina, and his Ph.D. from Oregon State University. Currently an Associate Professor of Marine Biology at the Florida Institute of Technology, Dr. Shenker is also devoted to educating coming generations of marine biologists and fishery biologists. His students have been deeply involved in a wide array of Indian River Lagoon ecosystem studies and fish biology studies. He has published 56 research papers and, during his 28 years at Florida Tech, he has produced 44 M.S. students, 8 Ph.D. students, and mentored hundreds of undergraduate students.